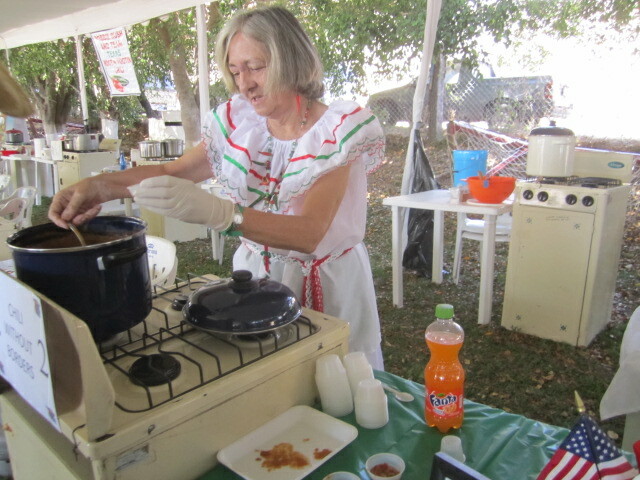 The 36th Annual Mexican Chilli Cook-Off was held in Lake Chapala at the Tobolandia Water Park on February 14, 15, and 16th, 2014. I attended on the 15th and there was quite a crowd. I have never been to the Cook-Off when there was not a crowd. 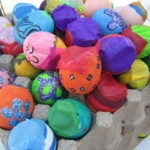 It is the biggest social event and fund raiser of the year. 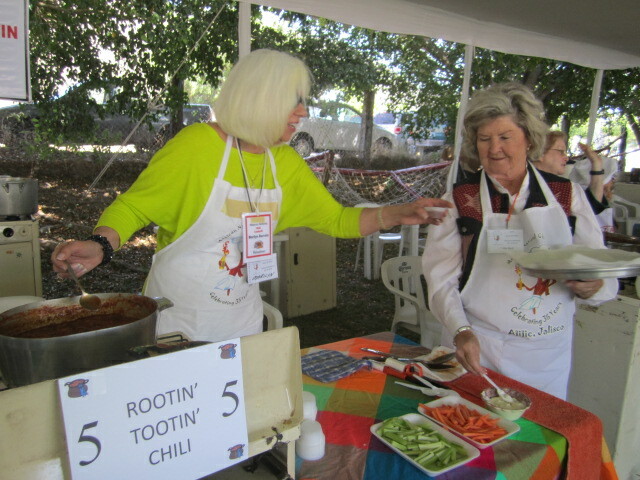 If you like great food, beautiful arts and crafts, meeting friends and making new friends, interesting entertainment, sensational photo opportunities, then you will love the Chili Cook-Off. 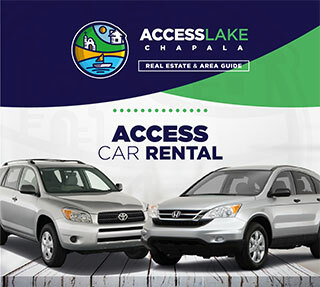 Oh, yes, if you like chili, this is the place to try out the best in Ajijic. 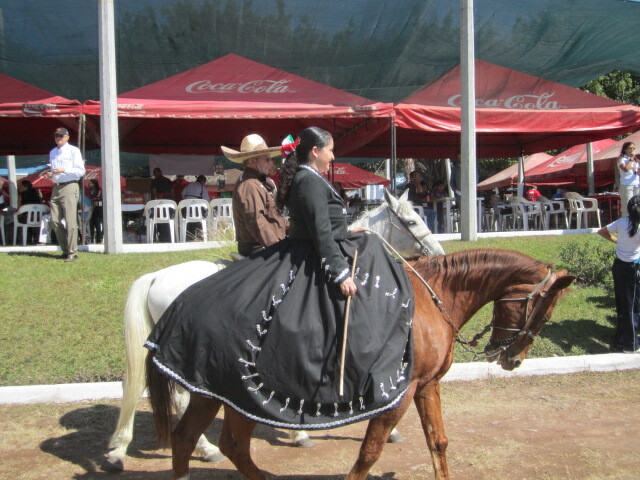 On the second day there was a parade that started at six corners in Ajijic. I took some photos as it was coming into the Tobolandia grounds. Each day had different events scheduled. Something was going on all day long and sometimes there were several things at once. I missed a lot of it because I have not yet learned how to be in two places at once. I did see the beautiful girls holding up the ribbon to be cut to signal the beginning of the second day. I missed the Ballet Foklorico Infantil and the dancing horses. 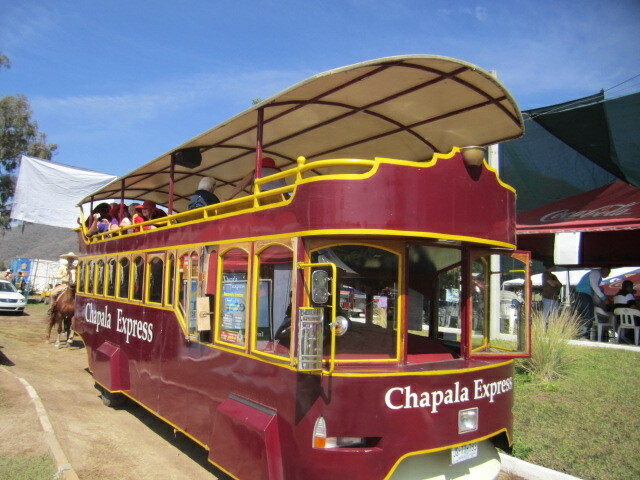 I didn’t go on the third day, so I missed out on the Ballroom dancing, the Salsa Competition, the Raffle Drawings, the Art Auction, and the announcement of the chili winners. I missed far more than I managed to see. 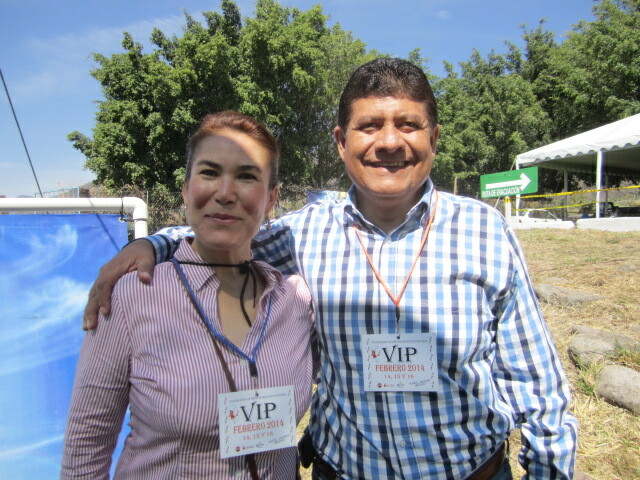 Above is a photo of the mayor of Chapala, Joaquin Huerta, and his wife. Unfortunately, I did not get her name. 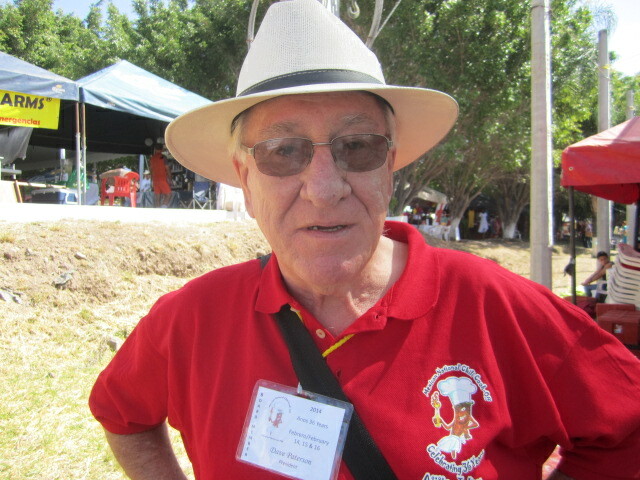 Above is a photo of the president of the Chili Cook-off, Dave Paterson. I was lucky to get his picture because he was a very busy man that day. 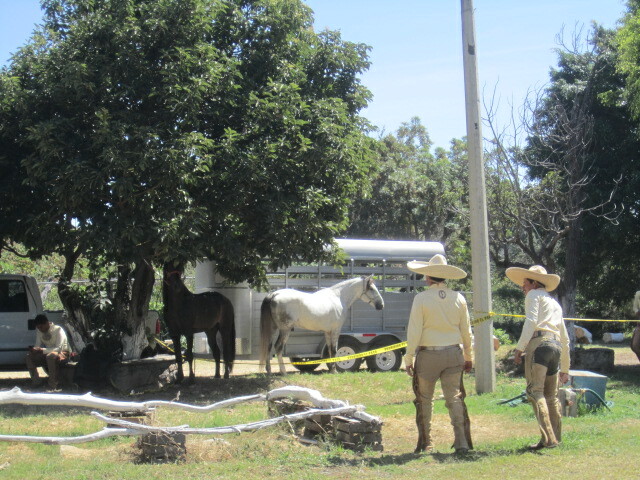 The cowboys and horses in the above photo were resting after the parade. There were several quiet places in the Tobolandia grounds where people and animals could get away from the crowds and rest. 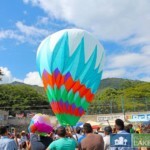 I managed to see the Voladares de Papantla. 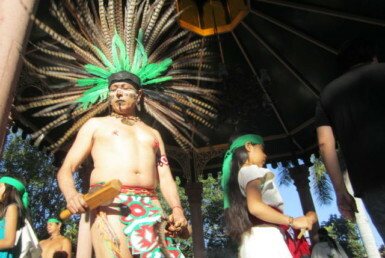 They performed an ancient Mesoamerican dance which was initially to appeal to the Gods for water. 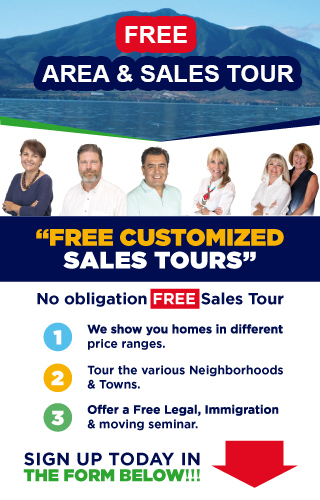 They come from a town in Veracruz. 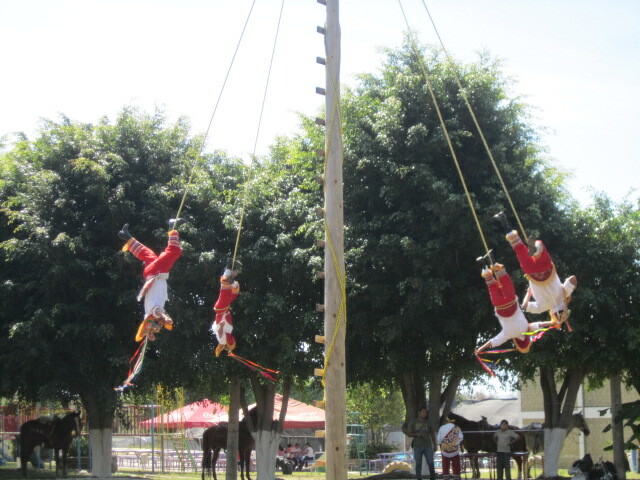 They climb to the top of a thirty meter pole and slowly drop to the ground while one of the men plays a flute. It is very exciting to watch. 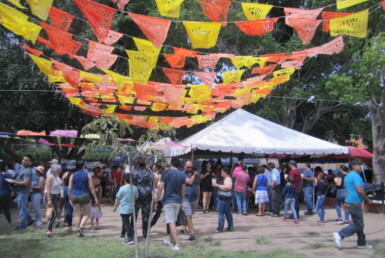 There were sixty booths on the grounds. 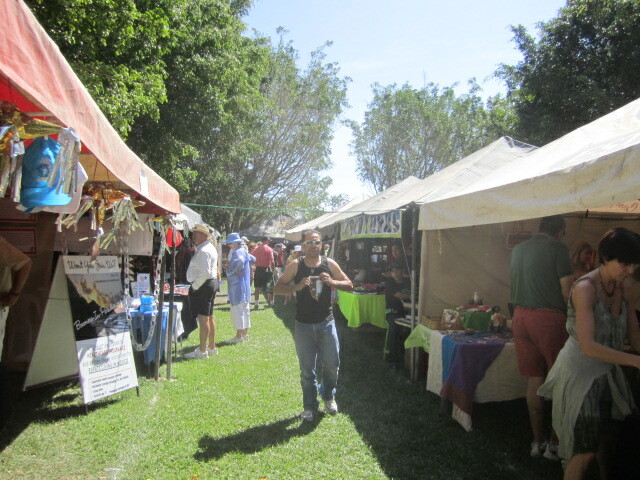 There were beautiful crafts, paintings and sculptures, clothing, jewelery, and food booths. 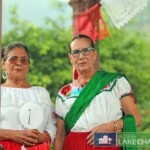 Some of them were from this area and some came from other towns around Mexico. 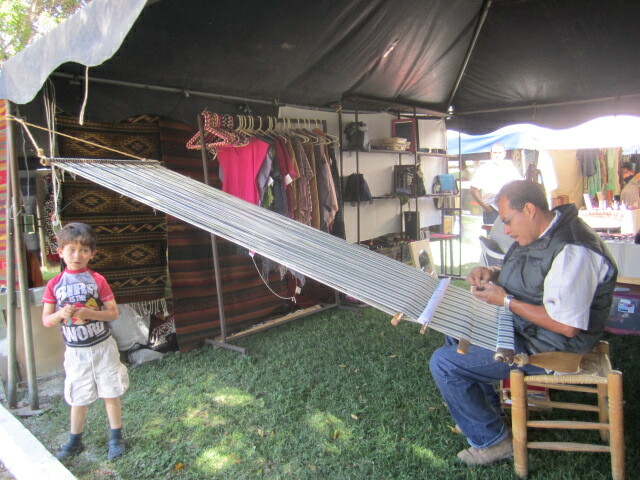 I enjoyed watching the man in the above photo as he was weaving something but his son looked a bit bored. 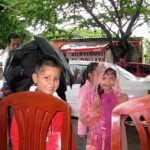 The woman in the above photo was talking with the little girl. Her mother seemed to be distracted. 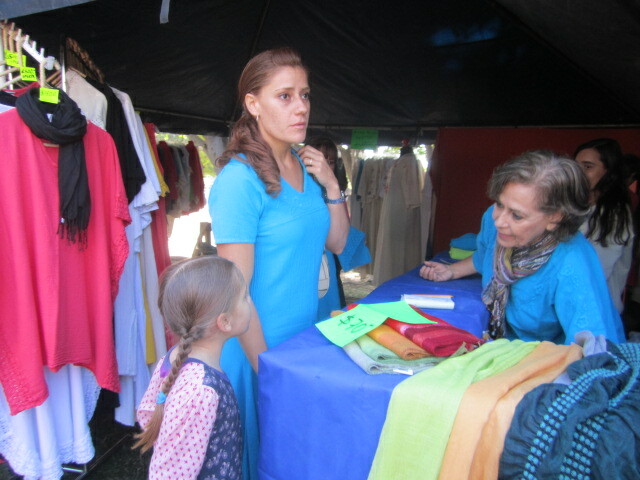 Maybe she was thinking of what she wanted to buy. 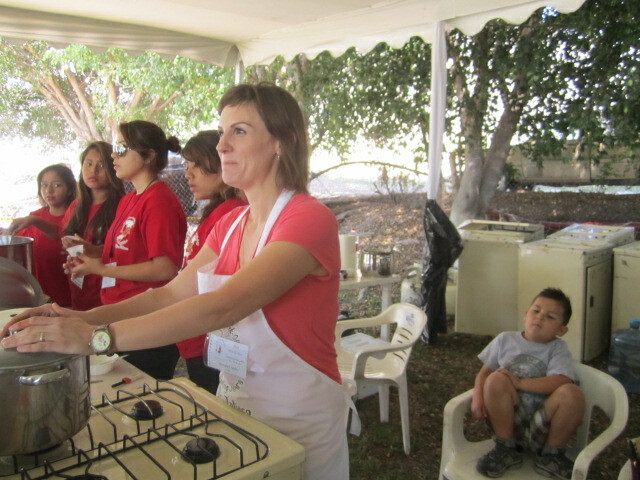 There were many children at the cook-off. It was a family affair. Even lots of dogs were running around, enjoying all the smells. 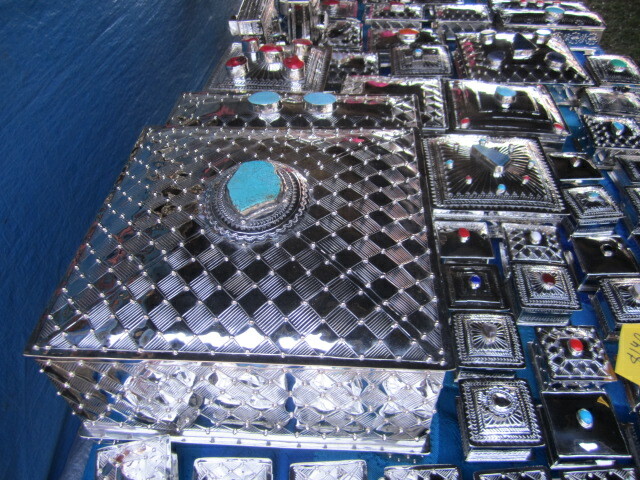 I loved the silver boxes inlaid with turquoise and other stones. I could have spent several hours walking through all the booths but hunger got the best of me. I headed for the food arena. 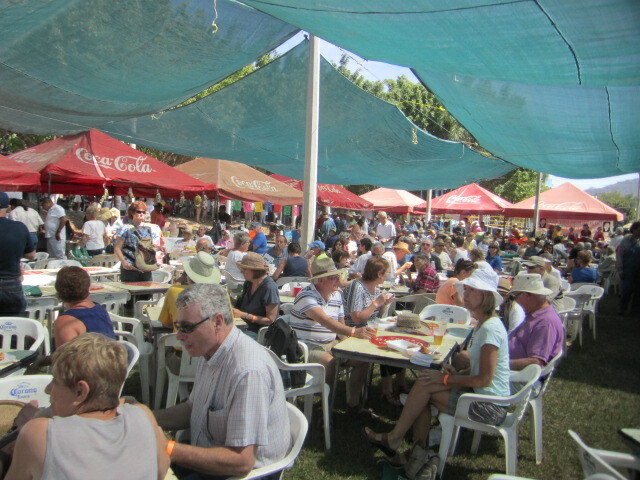 The food court quickly filled up with hungry people. 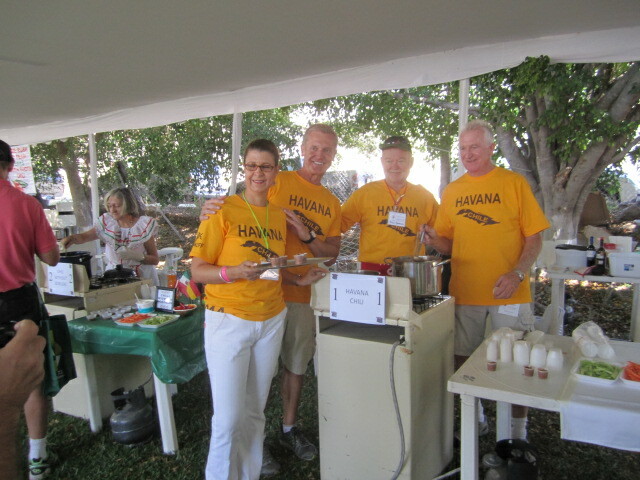 There were lots of choices of food to eat: hamburgers and hot dogs, Greek food, Chinese food, Barbeque ribs. Too many things to mention here. And there was always something going on at the bandstand in the front. I counted ten different food stands. There may have been others that I missed. 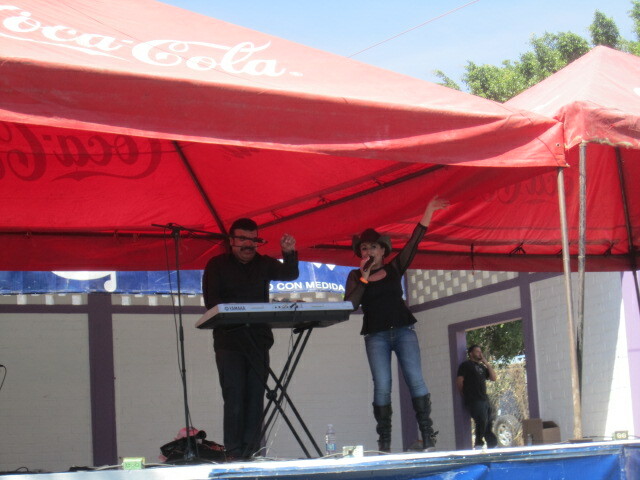 Ricardo and Blanca entertained the hungry people. They often play in restaurants in this area. They have a great dance beat. I decided to make my lunch the chili samples. It was only thirty pesos to taste them. We were given a small cup of chili at each booth. 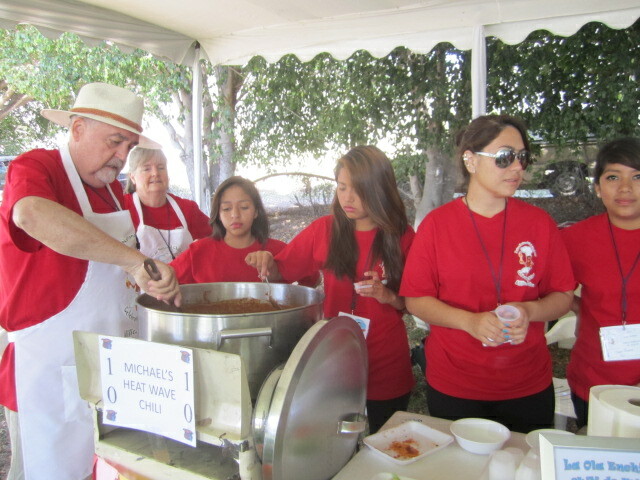 I was unable to obtain the names of the people involved in making the chili. I had to quickly move through the line. I was lucky to get a photo of each booth. Three of the booths were empty. 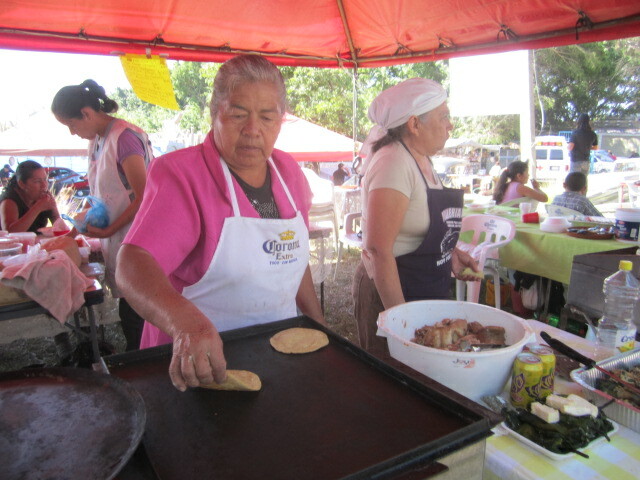 Most of the booths had many helpers. 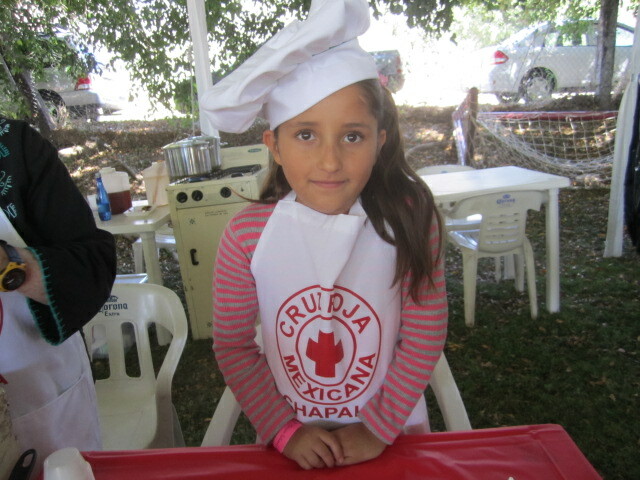 It is a lot of work to make up enough chile for all the tasters. 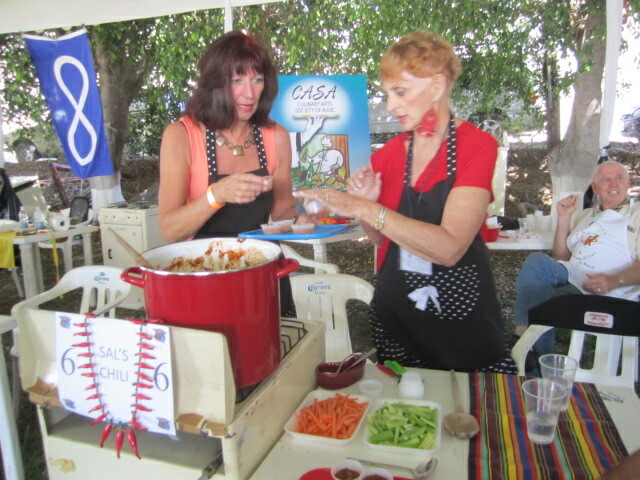 These two photos are of the Cruz Roja’s Chili booth. I took the second one of the little girl by herself because she was so adorable. The women in the above photo had added sour cream to their menu. 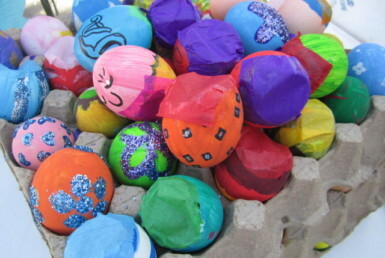 Several of them had sour cream this year. 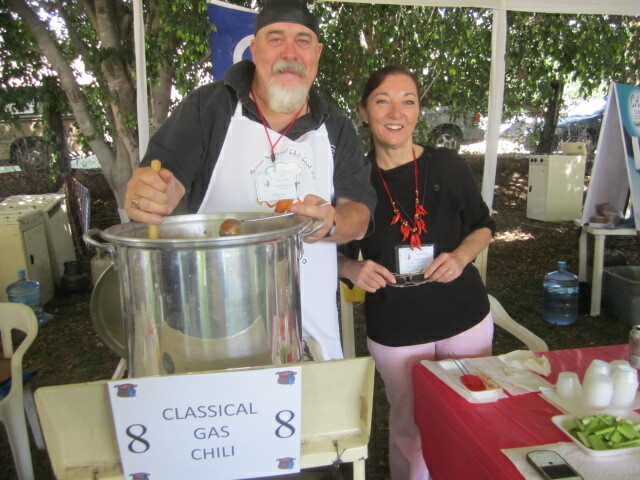 Others were chili purists, no extras to take away from the taste of the chili. 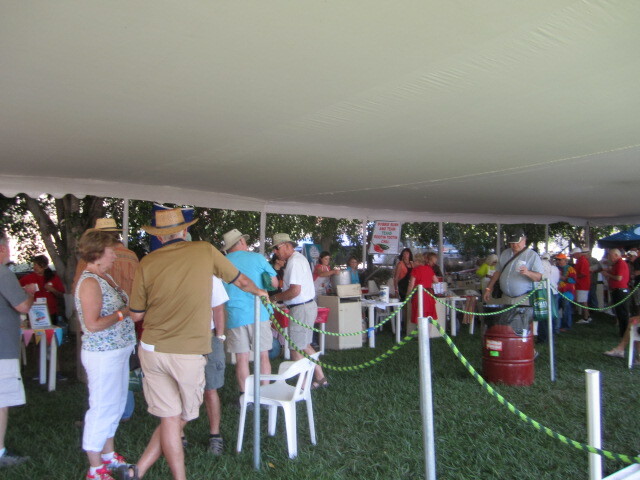 At the end of the chili line there was a table set up for voting. I didn’t vote because I enjoyed all of them and could not make a decision. 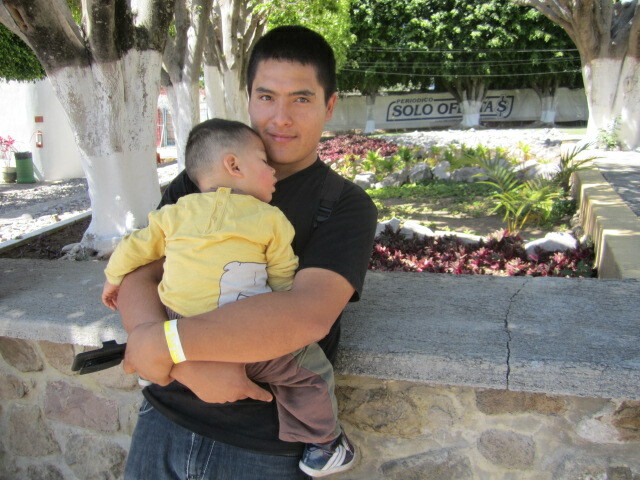 I love the little boy in the photo below. He most likely had to help out. He looks tired and bored. Maybe he needs a nap. 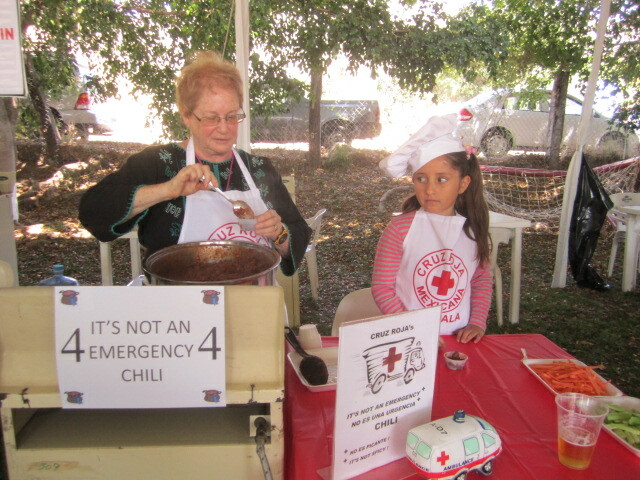 After seeing all these happy people dishing out their chili, (except for the little boy) and you are inspired to be part of it next year, please contact Jorge Valencia for booth information at: 331-279-1721, or Laura Diaz, Events and Sponsors: lauraartemx@aol.com or 331-602-8217. I went home after tasting the chili. I was exhausted from all the activity. I wasn’t the only one. The little boy in the photo below had the right idea. 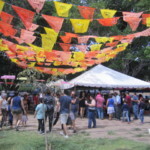 If you would like more information about the chili cook-off, please go to this site: www.mexicanchilicookoff.com. As I came in the entrance, I was given an information booklet with a map of the booths and times of the events. Also, there were some quotes about chili. I especially like this one: “The aroma of good chili should generate rapture akin to a lover’s kiss.” Motto of the Chili Appreciation Society International. I will leave you with that and encourage you to go to the one next year.